The New York Stock Exchange said in a statement late Sunday that it would close its markets Monday. Markets are likely to remain closed on Tuesday as well. 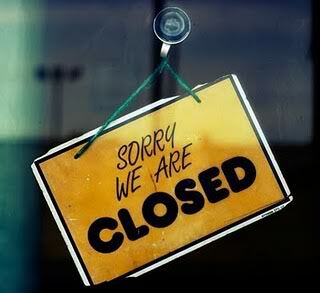 The Nasdaq stock market, which trades many technology stocks, including Google and Microsoft, also closed down Monday. The exchange will later announce plans for Tuesday. “Dangerous conditions developing as a result of Hurricane Sandy will make it extremely difficult to ensure the safety of our people and communities, and safety must be our first priority,” the NYSE said in a statement. New York has declared a state of emergengy and the city suspended subway service, bus and commuter rail service, which started at 7 p.m. ET Sunday. (Look ahead to stocks: Key jobs report). (Reuters) – Federal offices in the Washington, D.C., area will be closed to the public and non-emergency federal employees will be granted administrative leave on Monday as Hurricane Sandy approaches. The U.S. Office of Personnel Management said on its website that employees scheduled to telework must work the full day or request leave. Sandy is expected to come ashore late on Monday. All Monday Metro service, both rail and bus, has been cancelled, Metro officials said Sunday night. In explanation, the officials cited the expected high winds, the likelihood of widespread power outages, and the closing of the federal government. On Sunday night, the system was to remain in operation until the normal close of service.